Name: Thecodontosaurus (Socket toothed lizard). Named By: Henry Riley & Samuel Stutchbury - 1836. Classification: Chordata, Reptilia, Dinosauria, Saurischia, Sauropodomorpha. 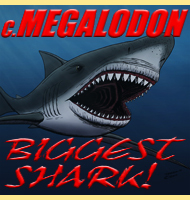 Size: Average of 1.2 meteres long, but some individuals estimated up to 2.5 meters long. Known locations: United Kingdom, Southern England. France. 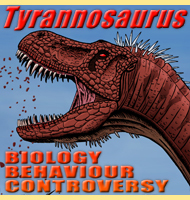 Time period: Carnian to Rhaetian of the Triassic. Fossil representation: Multiple post cranial remains and some skull material. 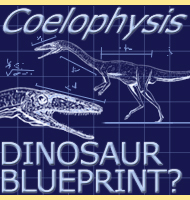 Like so many early discovered dinosaurs Thecodontosaurus had more fossils assigned to it than it really warranted. 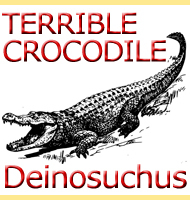 This has led to a re-evaluation of the attributed material, and like so many other studies, has resulted in the reduction of total species to the point that only Thecodontosaurus antiquus is now universally recognised by all. 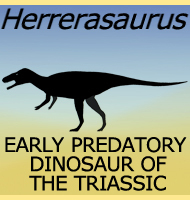 Whereas some basal sauropodomorphs like Pantydraco are considered by some to have been omnivorous, the leaf shaped teeth of Thecodontosaurus denote a more strictly herbivorous diet. 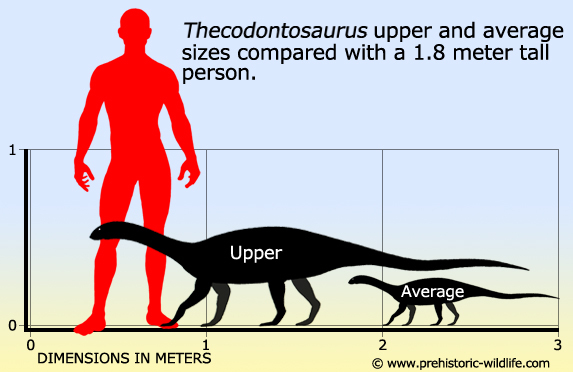 Thecodontosaurus also had a much shorter neck when compared to other prosauropodomorphs. - A description of various fossil remains of three distinct saurian animals discovered in the autumn of 1834, in the Magnesian Conglomerate on Durdham Down, near Bristol - Proceedings of the Geological Society of London 2:397-399 - H. Riley & S. Stutchbury - 1836. 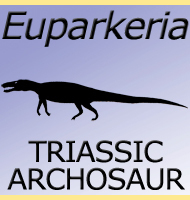 - Anatomy and systematics of the prosauropod dinosaur Thecodontosaurus antiquus from the upper Triassic of southwest England - Anatomy and systematics of the prosauropod dinosaur Thecodontosaurus antiquus from the upper Triassic of southwest England - M. J. Benton, L. Juul, G.W. Storrs & P.M. Galton - 2000. 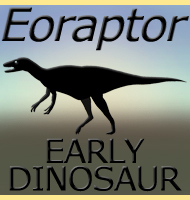 - The earliest known sauropod dinosaur and the first steps towards sauropod locomotion - Proceedings of the Royal Society B Biol Sci. 2003 Aug 22; 270(1525): 1753–8 - A. M. Yates & J. W. Kitching - 2003. 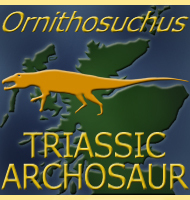 - A new species of the primitive dinosaur Thecodontosaurus (Saurischia: Sauropodomorpha) and its implications for the systematics of early dinosaurs - Journal of Systematic Palaeontology 1(1): 1-42 - A. M. Yates - 2003. - Pantydraco n. gen. for Thecodontosaurus caducus Yates, 2003, a basal sauropodomorph dinosaur from the Upper Triassic or Lower Jurassic of South Wales, UK - Neues Jahrbuch für Geologie und Paläontologie, Abh., 243: 119-125 - P. M. Galton, A. M. Yates & D. Kermack - 2007.